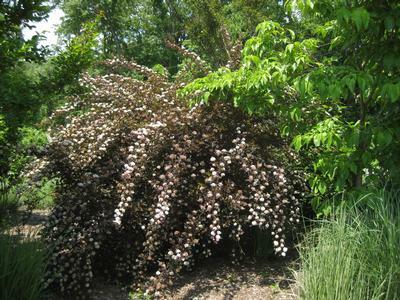 Summer Wine® ('Seward') Ninebark has pinkish white button-like flowers in June over a compact habit, and bright bronze-purple foliage. 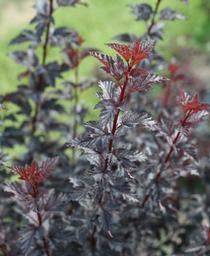 Physocarpus opulifolius Summer Wine® has a reddish-purple fall color and is also wet site tolerant. PRN Preferred: Our favorite of the groundcover types. 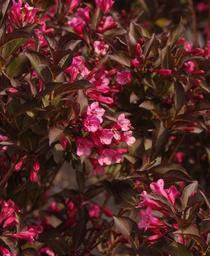 Best foliage and plentiful flowers for an extended period.